It Was More Than The Family Business At Stake. There's Also Heritage, Legacy. Opening times: 6am to 6pm, 365 days a year. No annual leave, gym or medical benefits, childcare support. Unspecified career progression. No bonus. Hard physical labour. It would seem antiquated. A throwback to the work demands of yesteryear war times. You’d likely balk and never apply. But this is the reality for food businesses. More so when it’s a family-run business, and you are the youngest generation. The choice to take up the job has the additional weight of family legacy and heritage. Such is the case for Mohd Hamirul Hanif. The 35-year old has a cushy job as an airline staff allowing him opportunities to fulfil his wanderlust while enjoying work benefits. But he’s also a member of the family behind Warong Nasi Pariaman. His uncle, 64 years old, is currently the head chef and has dedicated 27 years of his life to running the popular local eatery. As did his father before him, and his grandfather before that. The recipes, like the business, have been passed down each generation, and it’s Hamirul’s turn on the mantle. He currently helps out on weekends, learning the traditional methods of food preparation and cooking. Would customers care how the coconut juice is extracted by hand? Probably not, but they do it anyway. The family prioritises the tradition for quality. For the customer’s satisfaction. The food business is a pretty thankless one and the choice to take charge full-time is one he continues to mull over. He would be sacrificing quite a bit. It’s permanent and punishing work. But it’s in his blood. It’s family. 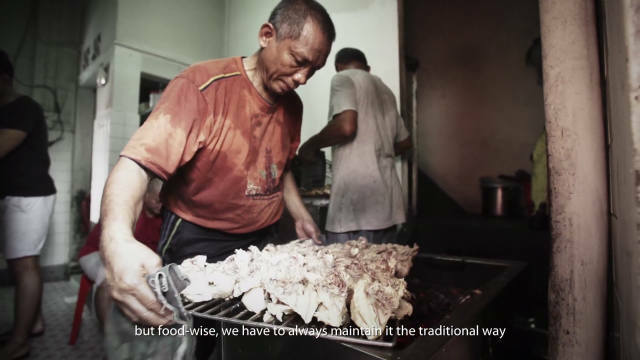 Here is his story in Simi Kopitiam, a documentary that also explores family-run food business and its place in the modern world. From franchised outlets to older shops, one thing is clear — the crossroads of personal ambition and family obligation is a difficult place to be. This project is funded by iRememberSG, as part of Singapore Memory Project for SG50. Just one more! Watch Provision Shop: After 50 years of service, this provision shop will be history. 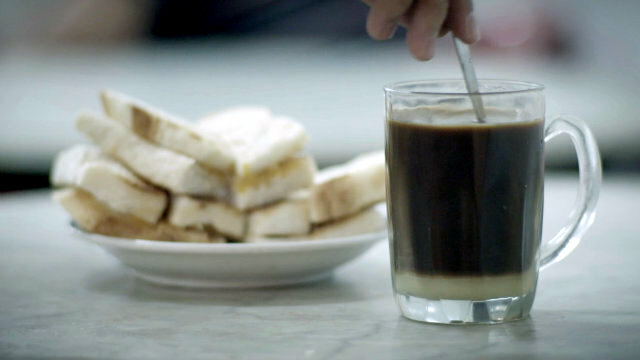 Before Cold-Brew, There Was Just Kopi. Here’s The Last Of Kopitiams.